Is Nimrod The Beast Which Will Rise From The Abyss? Video: Rob Skiba, Torah teacher and loves Truth. A reliable witness. Nimrod is a fascinating person to study. He was the most powerful king on earth in his day. He was the son of Ham and the grandson of Noah, who was still alive during Nimrods’ reign. Surely the satan wanted some payback for the flood, and he deeply corrupted Noah’s grandson, making him the fiercest human enemy of Yahuah who ever lived. Nimrod was in the process of “becoming a mighty hunter”, according to Genesis. Being a “mighty hunter” or a “mighty one” was like being one of the “men of renown” – a bad thing. 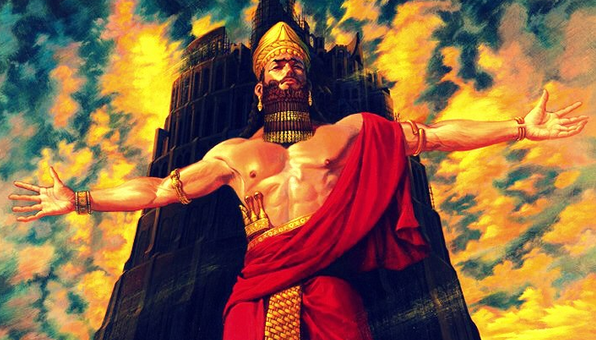 Like the Nephilim, Nimrod was doing certain wicked things in order to gain what we would call ‘supernatural power’. He planned to kill Yahuah and become god himself. There is much more to Nimrod than most people realize. His religion is still with us today, promoted very craftily by none other than the Mystery Babylon itself – the Catholic Church. The Catholic Church is wicked beyond measure and serves its god diligently. The goal of the satan is to deceive the entire world. To that end, he infiltrates every organization on earth and uses his influence to create vast armies of liars, working together to blind those who do not seek the truth. Seek, and you will find. Leave no stone unturned, and challenge every assumption you have until you possess the truth. There is much to discover. Next PostNext Love: The Best And Most Difficult Choice.